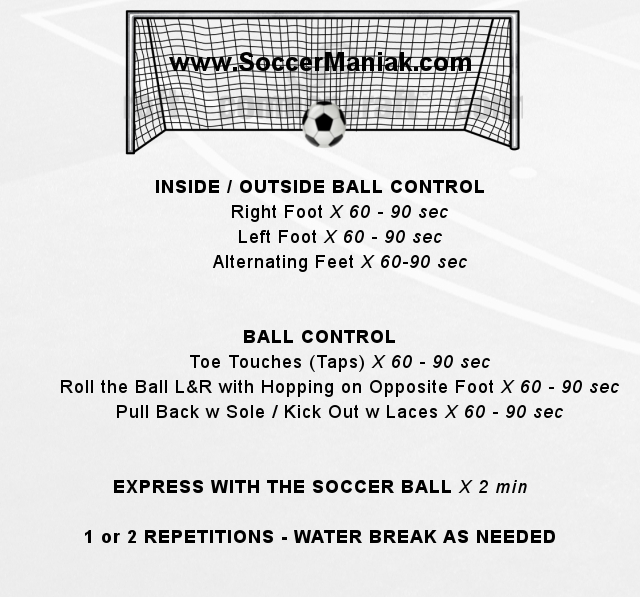 This 1v1 soccer drill is a great way to improve the players confidence and skills on the ball. 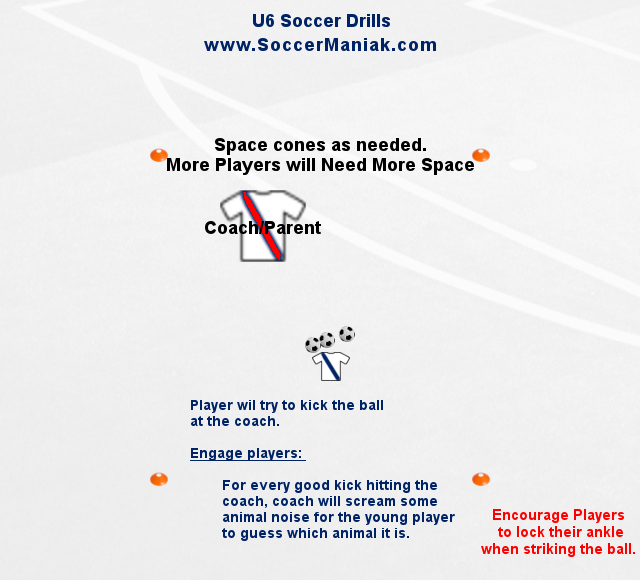 The objective for this soccer drill is to give players the freedom on taking players 1 on 1 whenever they find themselves in the opponents half of the field. 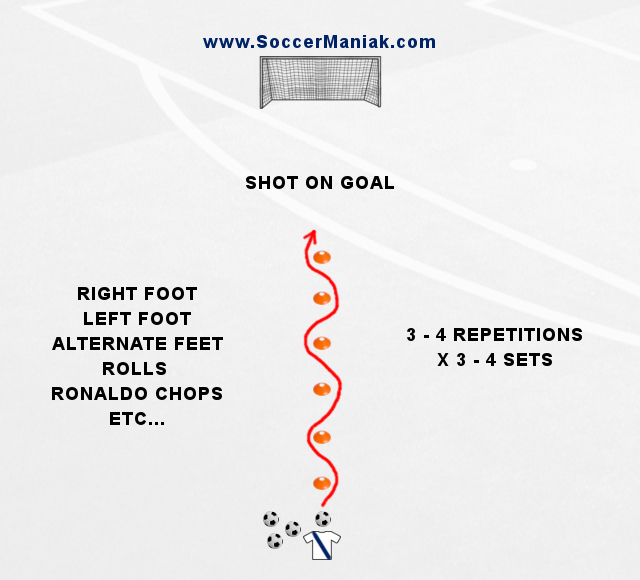 Players will use the wing to attack, and dribble past the full back, before passing, shooting or crossing the soccer ball inside the penalty box. Set up 2 channels 15 m/yd wide, on both sides of the field. 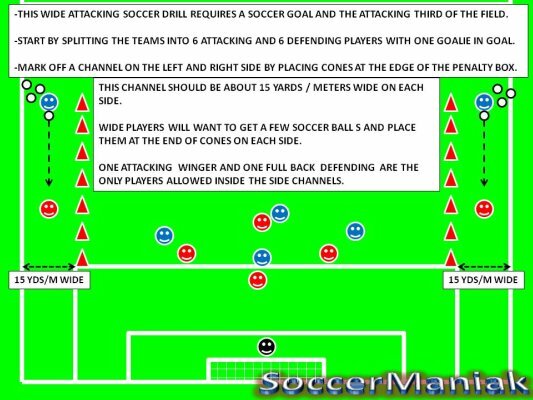 Split up players into 2 groups, Attacking and Defending Players. 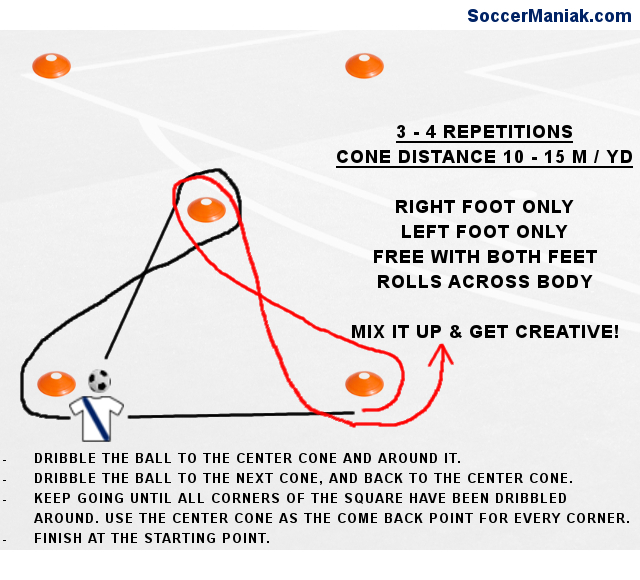 Place all the soccer balls at the end of the cones, on both sides. 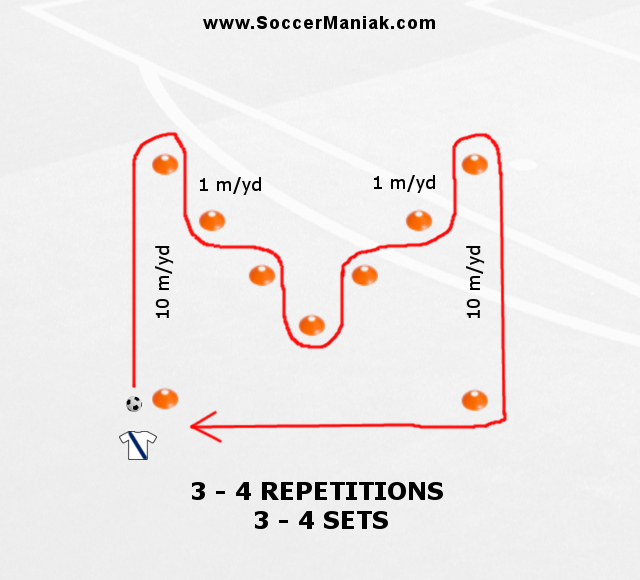 1 attacking player, and 1 defending player will step inside the channels on both sides, to create 1 v 1 situation. 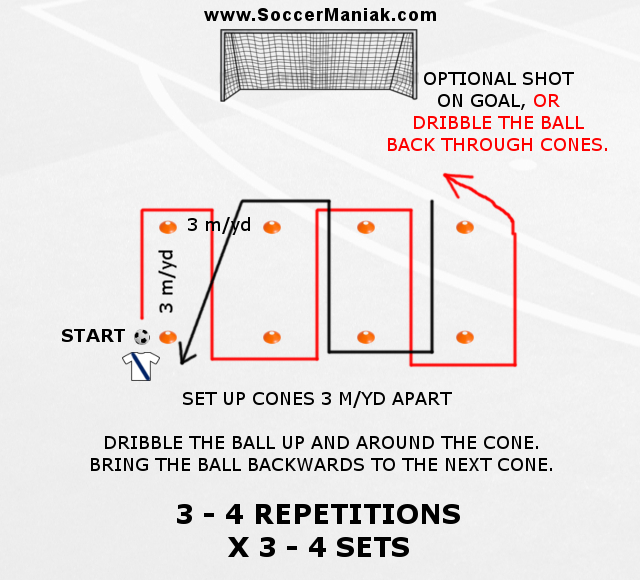 Start this drill with left, or right attacker, taking one soccer ball and coming down the wide channel. 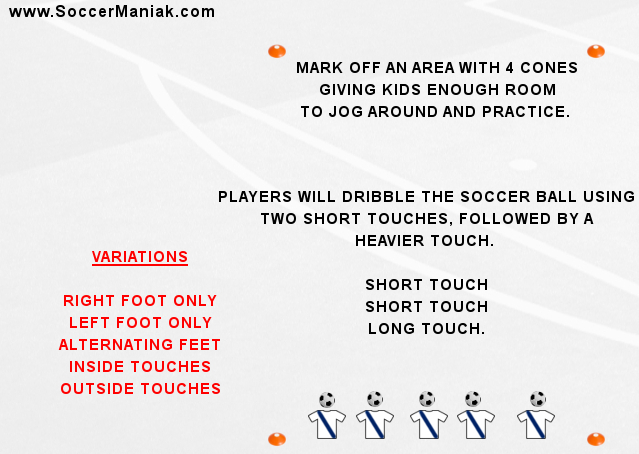 Player will take on the defender, with intention on dribbling past the defender before crossing, passing or shooting on goal. 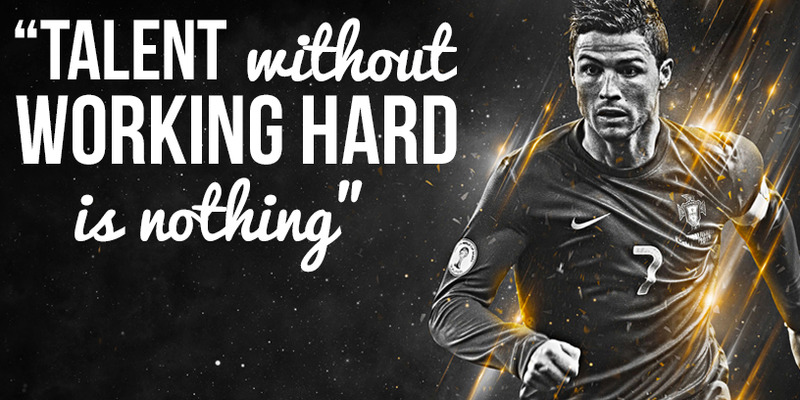 Attacking player cannot involve teammates inside the field, until successfully beating the defender. 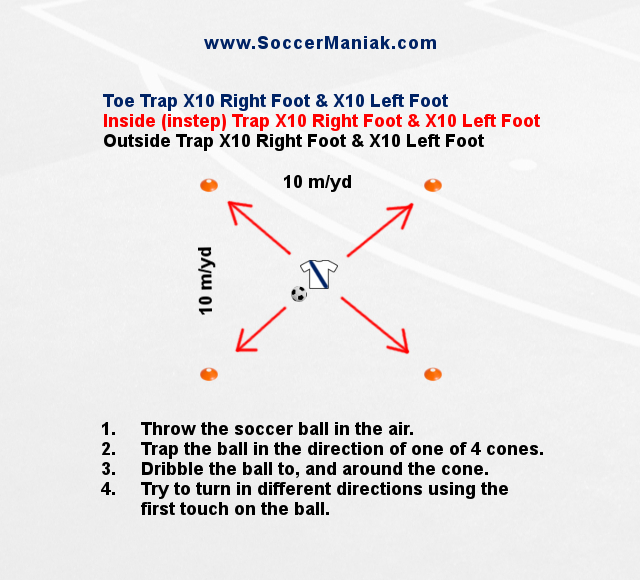 If the defender takes the ball away from the attacking player with the ball, he/she can cross the soccer ball in the box for an attempt on goal by the defenders. Start again on the opposite side. 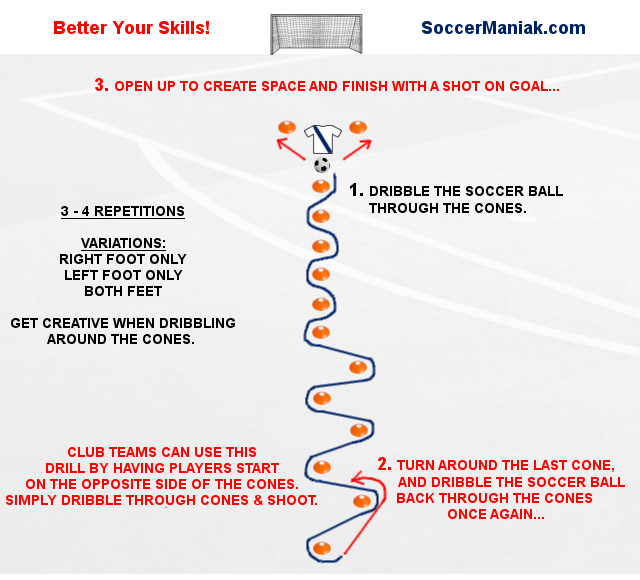 A different variation would be to create channels more central and practice taking shots off of dribble in 1 v 1 situations. 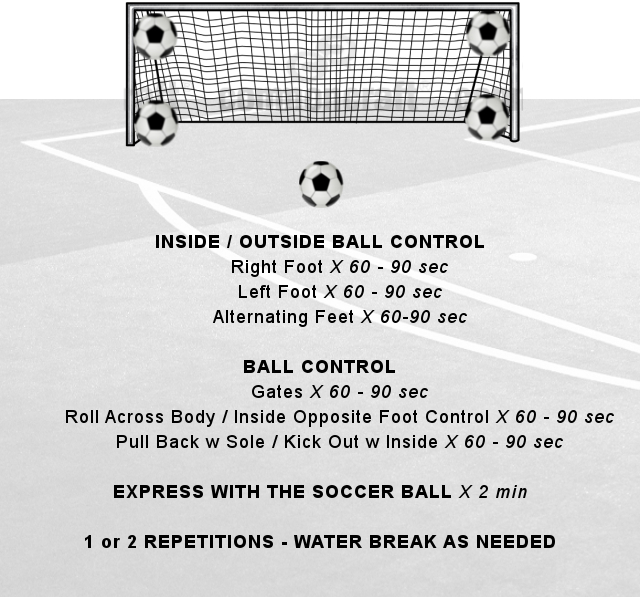 Attacking players are only allowed to cross the soccer ball after successfully beating the defender. 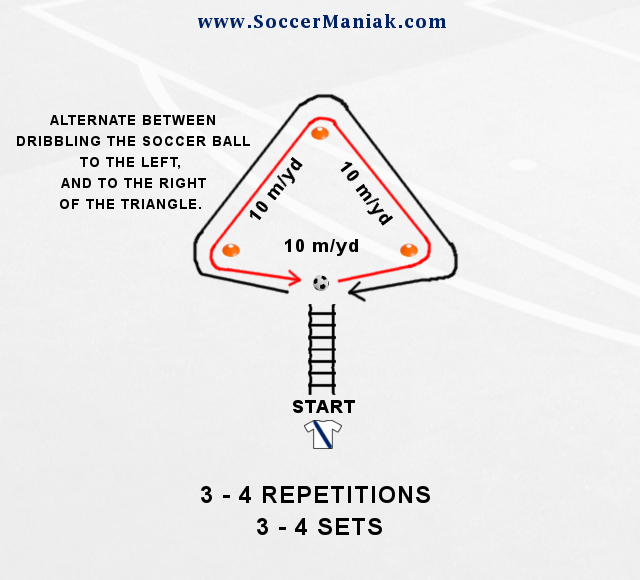 This will work on crossing and finishing. 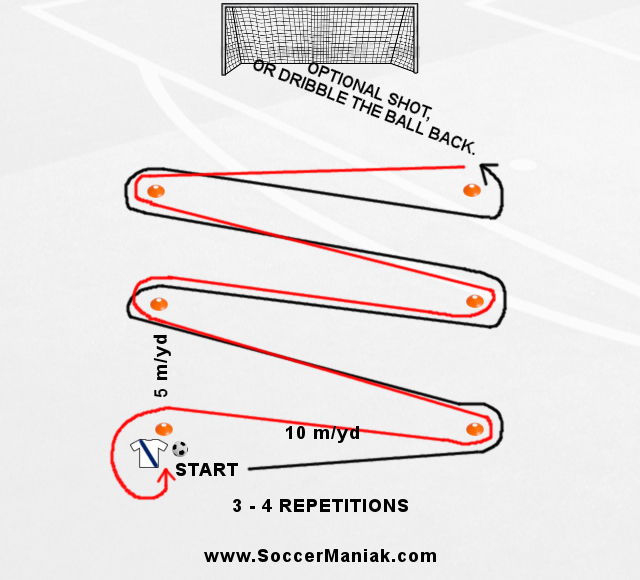 Keep the tempo in game like pace for this and every other soccer drill done in training. 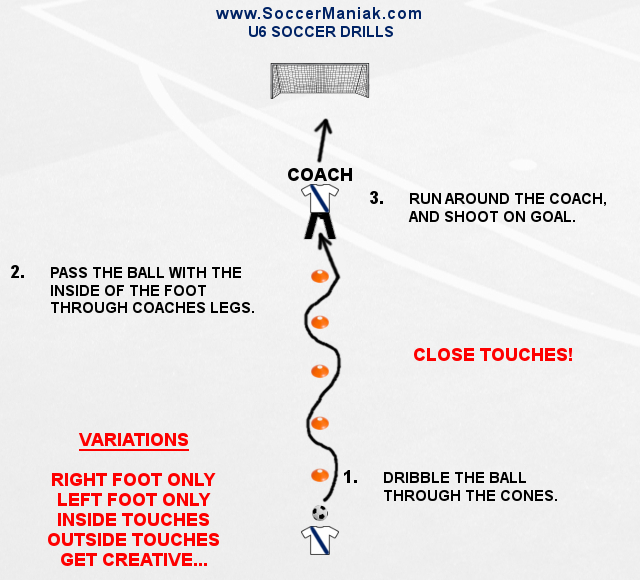 Encourage players to use flair and creativity when trying to get past their defender. 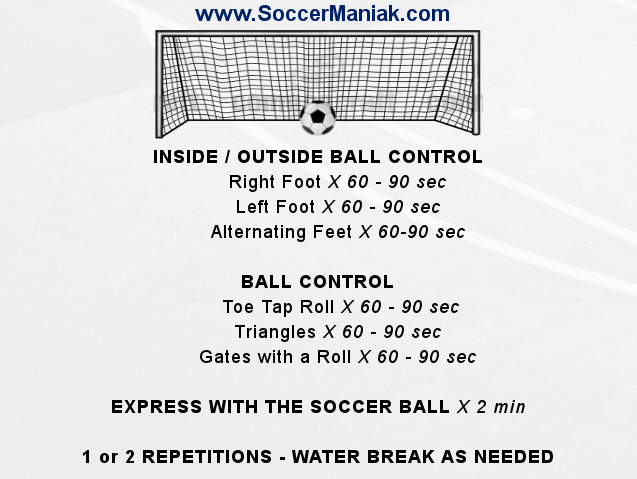 Players are sometimes scared to try things with the ball. Players need to be decisive as they approach the defender. They should come at defenders with pace, instead of slowing down. 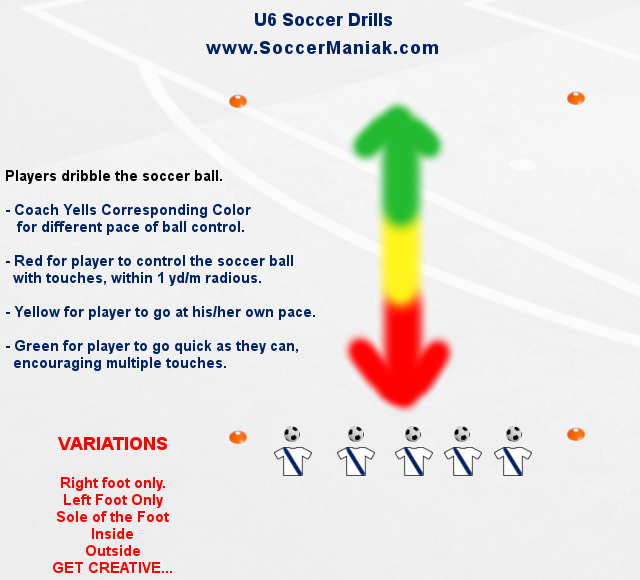 Pace running forward is an advantage players with the ball have. Slowing down takes that advantage away. Get CREATIVE and make adjustments as you see fit. 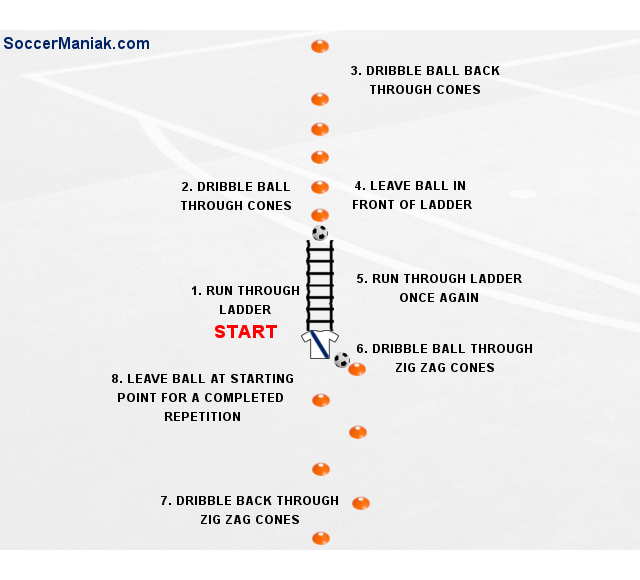 Soccer is a simple, complicated game.